It's often said that you won't get to work on what you are truly passionate about until you have an established career and a safety net made of cash. While it may be true that your first job directly out of college won't grant you the level of freedom, flexibility, or creativity you may desire, there are still ways to explore your interests and passions within the work you do on a daily basis. I recently started my first job out of college at LinkedIn and for the first time in my very short professional career, my passions for helping people and creating economic opportunity for diverse demographics directly translate into the work that I do. In short, I get to help grow our membership platform, help people find amazing jobs, and make strong and meaningful connections. As one of the few women as well as the only African-American in my role, I recognize the tremendous value of LinkedIn's platform as a tool for economic mobility for those who are socially and economically disenfranchised. Throughout my career at LinkedIn, one of my main goals is to work towards leveraging LinkedIn's networking value for a more broad and diverse group of people. My appreciation and thankfulness for the opportunity I have been afforded grew exponentially at the teen vogue summit where I spoke to a young woman named Jasmine about how she used LinkedIn to land her first job out of college. Click on the video below to hear her story! Now more than ever, I am excited for the role that I get to play in this movement in terms of bringing women and specifically women of color into spaces where they were previously not represented. To hear from young women like Jasmine who were taking their lives into their own hands and embarking on these professional and personal journeys towards their dreams was incredibly humbling. The idea that one day women of all races and identities will be able to pursue their career goals, unafraid and unapologetic of who they are and who they wish to become, is a dream that some of the most brilliant feminist minds curated ages ago. I hope that LinkedIn's role in this movement continues to expand and that one day we will see this dream realized. Now, I do realize that I am fortunate to work at a company whose mission is so closely aligned to my own values. However, for those of you who don't have that same alignment, you may be wondering 'how can I explore my passions and create impact in the work I do?' 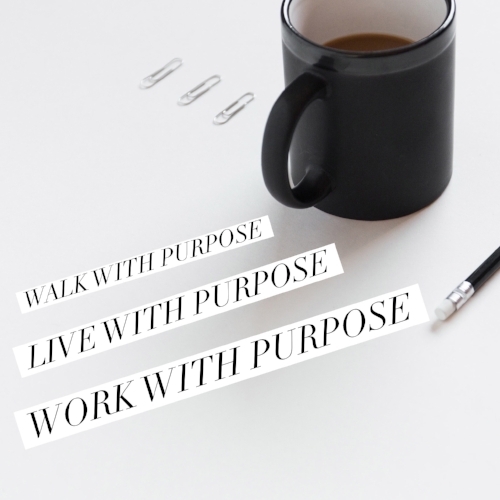 Trust me, even if you're not remotely interested in the work your company does, I've outlined a few ways you can go about making your work work for you. 1. Be extremely vocal about your interests. Share your passions and interests with your co-workers (as long as they are appropriate or not too polarizing). Talk about them frequently at work whether its at lunch or on coffee breaks and share some of they ways you're involved in those activities outside of work. If you're really a staunch supporter of a specific activity or cause, become known as the go-to person for all things related it. I've found that people are really attracted to the energy passionate people bring to work. Also, did you know that having a creative passion or interest outside of work makes you more effective at your job? Check out this to study to learn why! 2. Bring people together outside of work to share your interests with you. One of my good friends at work is really passionate about boxing--a sport that not many people are that knowledgable about. He is extremely dedicated to the sport and goes to practice every day after work. As people began to learn about his passion for the sport, they became interested as well and we all got together one Saturday to watch a huge title match. Building that sort of camaraderie outside of work helps you build stronger relationships at work. If you can find a way to integrate a volunteering or charitable aspect into your passions outside of work, that would be another great way to bring people together to not only have fun, but also to give back. 3. Start an employee resource group within your company. If your company does not have not an affinity group for a cause you identify with, take initiative and create one! Shop the idea around to your manager or other leaders at your company and see if there are resources you can leverage to make it happen. Once you get the green light, create a mission statement, a leadership team, and a program to plan to help scope out your course of action. Once its off the ground, socialize the group, plan activities and get your community involved. 4. Find a mentor who will champion your interests and help you promote them. If you're new to a company or in an entry level role, sometimes its hard to take initiative and get other people excited about what you're interested in. Find a mentor with more seniority and similar interests who can act as your value champion and help you carve out a path to pursuing your passions in the work place. A little guidance and support always goes a long way!